What are we being overwhelmed about? What is overwhelming? And what is the relevance of Volume, Velocity and Variety? Those of us involved in the IT industry are now experiencing unprecedented conditions that on a daily basis are quite often overwhelming our individual ability to make sense of what is happening. Dramatic statement? The Volume of tasks, decisions, requests is on the up for many of us – a check of the email inbox, social feeds and voice mails – is a tell-tale sign of being overwhelmed. So is the Velocity of this information as technology avails a speed that for many of us find overwhelming, and finally, the Variety of sources, questions and options present a scenario where for many of us, the capability to identify the Must’s, Should’s and Could’s becomes very blurred. Drilling into three fairly classic roles suggests these characteristics are alive and kicking, and need to be something we all consider. CXO Person – The C level person is charged with steering their organization to support growth and increasing revenues and market share. Whether the C level person is a CIO, CMO, COO or CEO, the daily challenge often facing them is how they make sense of the amount of circumstantial information that runs past their office like a deluge. Business decisions, agile product development, endless vendor recommendations, internal reports, strategy meetings, analyst vision, business conferences, social feeds from peers, gut feeling and yes, recent experience of doing it before. Last point is key – doing it before is fast becoming a tenuous hook that many CXOs’ have long given up as using as their default position. IT Sales Person – The IT Sales person is charged with selling to the CXO person to hit targets, achieve campaign results and drive business annuity. Whether the sales person is selling products, solutions or services ( or all three ), the daily challenge often facing them is how they mesh the mounting product information, the solutions available and the service portfolios to understanding what the CXO actually wants. Whether they chose to be a Left to Right ( products to meet business needs ) or Right to Left ( business imperatives seeking solutions and services to affect change ) , the IT Sales person is equally bombarded by a deluge of sales tasks, target information, proposals to clients, product training, gut feeling and yes, recent experience of doing it before. Last point is key – doing it before is fast becoming a tenuous hook that many IT Sales people have long given up as their default position. IT Support Person – the IT Support person is charged with ensuring IT customers get issues resolved, advice communicated and Service Levels met. Whether the IT support person is first, second or third line, or software or hardware focused, the daily challenge often facing them is how they balance the volume of requests, the demand for on the spot fault resolution and the range of calls in terms of devices, applications, locations and infrastructure in use i.e. BYOD, Cloud, personal and corporate apps. The sheer size of the Big Data Conversation is often too large for the humble human brain to comprehend and this is not going to get any better for some significant time to come – if at all. On a similar plane, the three dimensional environment that my three ‘example’ roles live in each day is only the tip of the iceberg. Our industry has hundreds of roles that span all aspects of IT product, solution and service, and if I’m right, the Volume, Velocity and Variety of events is becoming not for the feint hearted. Because for many it represents an overwhelming situation that many cannot cope with. With the explosion of technology still occurring without any sign of abatement, there are many roles that are going to need to change to ensure survival. The three I highlighted are just three of many that will feel the squeeze on their time, concentration and ability to turn ‘stuff’ around. Of course I imagine you may be seeking a resolution to this as you get to this point in my post today. Sadly I originally set out trying to give some practical advice, but on reflection realised that there isn’t a cook book of ideas and tips to manage the 3Vs. Sure there are lots of tips and tricks to improve time management, work allocation, smarter communications and prioritization. But you know – I see many people struggle with even acknowledging that in their particular role in the IT industry their daily lives are under intense scrutiny. If all the industry can do is to acknowledge that the three Vs more readily associated with Big Data are also part of every day life then ITS A START! 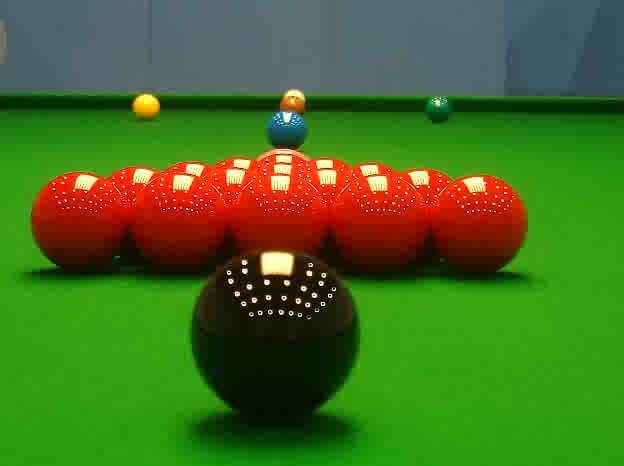 I recently caught the end of a snooker tournament where the world’s best player, Ronnie O’Sullivan, cleared the entire table to achieve the ultimate outcome in snooker parlance – a 147 maximum break. To those who don’t understand the game, a 147 maximum break not only is the pinnacle of achievement in a particular game, but represents a fantastic skill for planning and concentration that is right out there against any mere mortal playing the game with you. Its a rare event and is quite often rewarded by financial gains to those few lucky enough to possess the skills to achieve the maximum score. As I watched the final shot disappear down the pocket I reflected on the number 147 and recalled that I had seen this number somewhere else before. Not on a bus nor a raffle ticket, I realised that the other place I had seen the number was in a book discussing elastic enterprises, and specifically, the IT organizations capability to deal with those organizations that are travelling on a much more accelerated route to success, than their competitors. In an elastic enterprise ( or more fundamentally an organization that understands the difference between Speed One and Speed Two – see http://wp.me/p15xAC-It ) there is a thirst for universal connections to people, devices and other organizations. This universal connector is often described as an API ( or for the technical minded an Application Programming Interface ). An API is a very important concept and piece of engineering. An API is the ‘thing’ that connects one thing to another. put another way an API specifies how components interact with each other. Its the glue that allows us to communicate between applications, devices and ultimately other people regardless of location. I know I am massively oversimplifying the role of an API so I apologize to those API devotees, but merely make the point that in our modern world of work ( and consumer world of living ) the API is a humble, yet powerful asset in our future collaborative and socially connected world today. The web today is a massive matrix of APIs, and today is integral to how we share photos ( Flickr ), share updates ( Facebook ) , share experiences ( LinkedIn ), stream movies ( Netflix ) and share thoughts ( Twitter ), and as a result, is a massive part of how a modern enterprise competes in B2B and B2C engagements using modern day software ( cloud ) services. All of this is done in a very much Speed Two motion, and in the scenario of an enterprise, with quite often little or no involvement ( and governance ) by the IT organization in terms of management, security and governance. So back to the perfection of a 147 snooker break and the world of work in an enterprise. It is believed ( or speculated ) that the average person ( lets assumed employed but with a social life ) has 147 connection points, from social networks, mobile interaction, television sets, car sat nav, blogs through to enterprise application connections. Think about it. This is saying you will have 147 connections in flight almost every day of your life ( and presumably growing as you introduce more innovation into life ) that allows you to go about your personal and corporate life without any perception of having to ‘connect’ to things in a conscious state. What is this saying? Firstly that 147 is a guess and is probably more or less for the average person. And guess what? The number is not the point. Unlike the snooker player who knows a 147 maximum break is the best he or she can do, the average worker has little control of how many connections they need to do their work. Nor should they I hear you cry. In fact, they don’t care and whether they have 89 connection points today, or 543 connection points tomorrow, they simply don’t care. But what about the IT organization? Do they care about the number 147? As a number no but in terms of what is may represent then I suggest yes. Each connection point carries a number of consistent characteristics in terms of security and capability. Security in terms of allowing devices, people and organizations to exchange information in a secure fashion and meets the demands of governing bodies such as ISO and others. And of course the pace of change now mashes these connection points together to allow us to aggregate information from one source into another. For many this mashing of connections is so seamless due to the devices and light applications we use to interact in our social lives, the aspect of using siloed applications at work that extract and load data that cannot be easily shared with other applications and other colleagues is fast becoming a negative, especially compared to those of us who are maintaining these 147 connections every day. And whether the 147 is right or not, one thing is sure is that the number is growing every time we download a new app or access new services available to us. The sobering thought in summary is this. The world of work may of course be about working smarter and more collaboratively as organizations thirst to empower workers to use their time more efficiently and productively, with the ensuing outcome of a more successful business over and above competitors who may fail to give the level of empowerment needed to retain and attract talent. However, the ability of the IT organization ( lets not forget them ) to track and support such volume, velocity and variety of connection points inside their control is fast disappearing. Of course, and lets not lose sight of this fact, many IT organizations are not focused nor measured on what happens in the hands of their users. No, their remit may be firmly focused on the services they can control. Speed One therefore. Recap? Look at the words involved in this post. 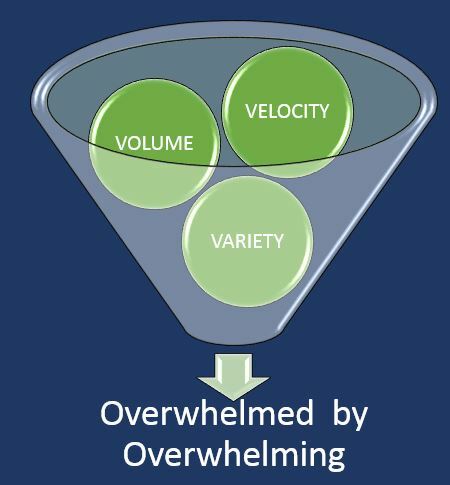 Connection Points, Volume, Velocity, Variety, Speed, Empowerment, Talent, productivity, universal, elasticity. When was the last time you heard an IT organization using such language. Maybe this is the problem…………………….. Speed One sure; but providing a Speed Two I.T service? Tough shout for many. I was very fortunate to listen to a Gartner analyst recently who talked very eloquently about the two speeds of IT. The essence of the discussion suggested that traditional approaches to provide IT service, whilst worked well for most businesses for a number of decades, does not automatically mean that the IT organizations delivering such services, can flex and scale to meet the more ‘modern and agile’ demands of their paymasters. I took a lot from this 30 minute presentation, and I wanted to try and recreate on this post how I see this panning out in every day life for the IT shop. We now all realize that the most successful IT organizations ‘do something different’. We realize this despite for many of them having exactly the same stuff – hardware ,software, networks, people and processes. One thing that the last thirty years has taught us is that building networks has gotten easier with the commodity services available to us, and with of course, cloud services offering simplicity in design and outcome. Yet as we also know – some IT organizations struggle. They struggle in their ability to change speed. They have built their culture around operating very well at Speed One which they believe is the right speed to support the business. But again we know that businesses often operate in a Shadow world, purely because they are running ahead at Speed Two and cannot afford to wait for IT to step up its speed ( our industry is littered with examples – BYOD policies breaking down, security breaches a plenty, cloud storage uncontrolled ) . Let’s define Speed One and Speed Two. A Strategy that predicts 5 years out but suffers from business commitment and sanction, and therefore is subject to stop start events and a lack of cohesive vision and commitment An architecture that is stepped in Back Office legacy which lacks robust oversight and forward thinking refresh programmes, leading to short term knee jerk migration projects that lack joined up programmes ( and end up either never finishing or costing more than a joined up programme – or both ). A responsiveness to Speed Two business events that too often falls short and leads to poor perception and frustration as the business complains that IT is purely a cost centre and not a true partner of change. A service that promotes a Shadow where its users find work rounds and quick fixes to create their own IT service and experience. And you know what. Probably about 10 years ago this was all a business wanted – an IT service that worked more times than it didn’t. You pays your money, you gets your IT organization. Then we had change. A lot of it since the turn of the century. And this momentum gave us Speed Two IT organizations. 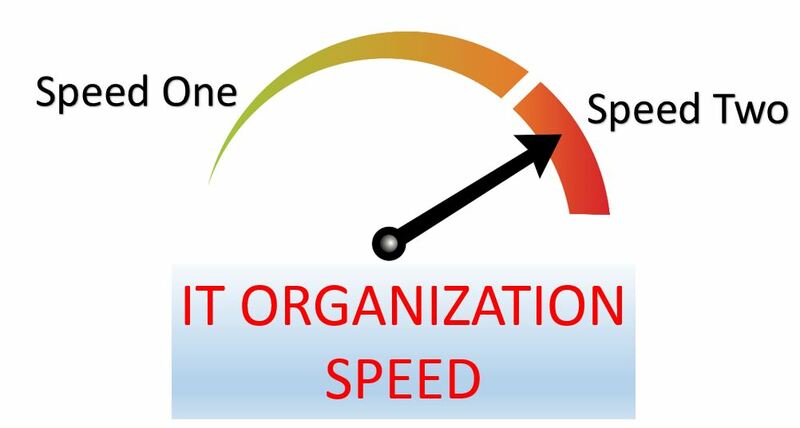 Speed Two is perhaps best described as an IT organization that is built to cope with change. A group of people, processes and technology that understands Experience. An IT organization that embraces the volume, variety and velocity of change both in terms of business change for IT services to align to key business initiatives, but also an architecture that has more Front Office components than legacy Back Office infrastructure. Speed Two IT organizations of course have a lot of Speed One characteristics.They simply have to. No large enterprise IT organizations can live entirely in the world of agile and responsive change. Not yet anyway. Give it thirty years from now then perhaps so but not right now. A workforce that has new blood. People that have been employed within the last 48 months and brings to the table ‘experience of doing things differently. Blend with people who have local knowledge and history this workforce has something impressive – a well rounded group of people who gets things done. A strategy that displays agile tendencies that sees IT services spun up in short shrift to meet business thresholds and demands in a manner that oozes consistency, competency and cohesiveness. An architecture that is fluid built on cloud services primarily that allow workloads to be moved appropriately as demand dictates. A series of policies and practices that encourage high levels of worker productivity without creating unreasonable walls and barriers. The difference between a Speed One and Speed Two organization is that the latter knows when its best positioned to switch speed. The former may want to shift speed but too often fails miserably, and is now realizing that change is their downfall unless they acknowledge what they need to do to run successfully at Speed Two. If you dig deeper into the linkage behind Speed One and Two IT organizations you find many other strikingly different characteristics. A CIO that is driven by delivering Experiences ( Speed Two ) versus a CIO committed to delivering IT services ( Speed One ). A massive difference. A CIO that surrounds themselves by similar minded senior leaders ( Speed Two ) versus a CIO steeped in traditional layers of management and administration. A CIO that has a Experience Vision ( which wraps up all the stuff about Digital Strategy, Worker Persona, Social and Cloud, Gamification, Big Data into one big bucket ). I could go on but hopefully the distinction has landed? The takeaway for me ( or my interpretation of the Gartner pitch ) is that technology does not guarantee a migration from Speed One to Two. Nor does having People and Processes. Sure a combination of these elements are a vital ingredient, but Experience is perhaps the most vital one of all. Not in terms of experience in a particular role but a vision that buildings an IT organization that understands where they are headed in terms of delivering experiences to their customers – devices, applications, knowledge, collaboration, communication, processes etc ) . As I reflect I realize I have worked with ( and worked at ) many IT organizations that operate at different Speeds, and you know, the businesses that rely on them? – they mirror the IT organization speed in terms of profitability, productivity and market share.